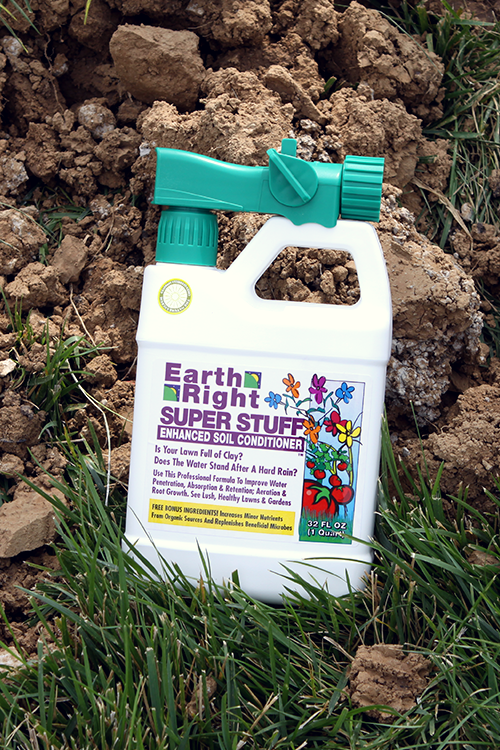 • Apply Earthright – Soil Conditioner Double Rate the 1st application – 1 qt. 5,000 sq. ft. This will crumble clay 2 – 2 ½ feet deep. Then normal rate once every spring and fall – 1 qt. 10,000 sq.ft. Our thick clay soils in this part of the country make it hard for water to penetrate the soil and for roots in out lawn to grow deeper. Toby recommends Earth Right. It’s an all natural product that helps break down the clay and turn it into healthy soil. All you have to do is hose it in once each season and you’ll have a better draining, healthier lawn! There are hundreds of weed killers on the market and many of them work well. 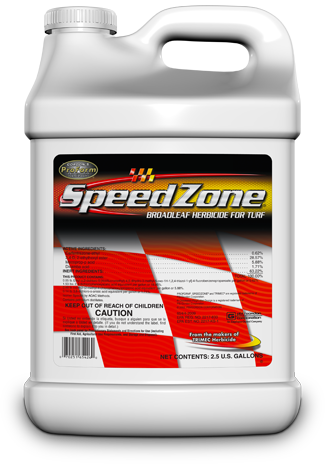 Gordon’s Speed Zone is the weed control that Toby has been recommending for many years. 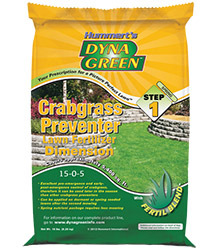 You can use it in conjunction with lawn seed, it is highly effective on a large variety of weeds and is readily available nationwide. We know Gordon’s Speed Zone works well so we don’t like to take a lot of risks with chemicals – so we stick with the best. 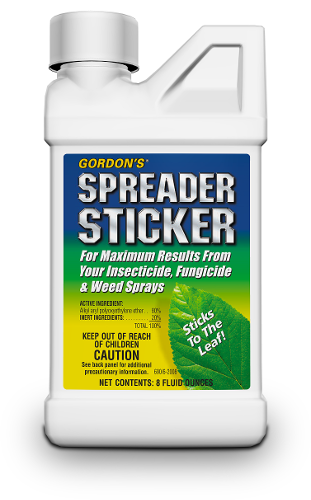 Gordon’s Spreader Sticker gives you much more bang for your buck in combination with chemicals you spray in your lawn. Toby recommends adding Spreader Sticker to outdoor insecticides, weed control, etc. By adding Spreader Sticker your chemicals will adhere better to the plant and be water fast. The chemical will last longer and be much more effective when you add just a tablespoon per gallon of Spreader Sticker to your pump sprayer mix. A clogged up furnace filter will shut down your entire system, lead to a dustier home and greatly decrease the efficiency and life of your heating and cooling system. 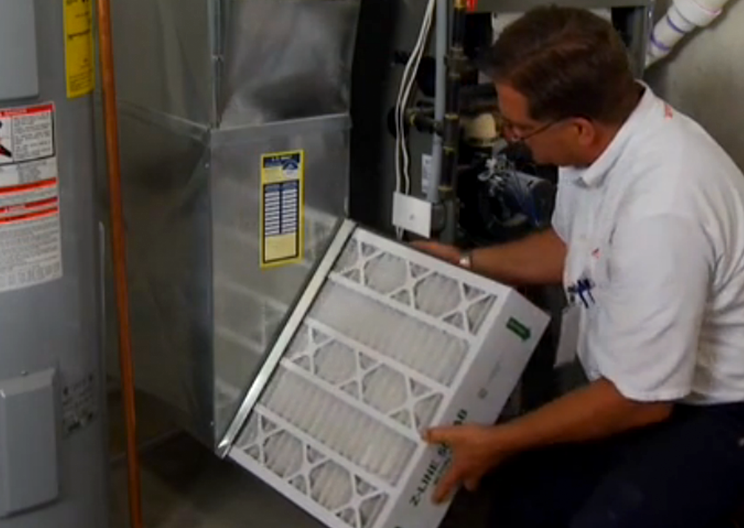 Change your furnace filter at least every 90 days. If you have people who suffer allergies in your home you may want to change it as frequently as monthly. Be sure to check to make sure you are placing the filter in the proper direction for air flow.